Be lucky enough to choose between some of the best super cars in the world! Any drivers dream come true! 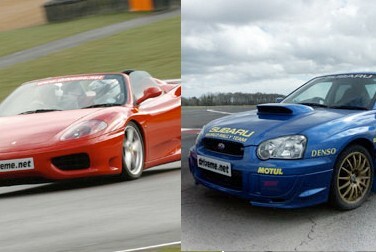 This unique driving experience gives the lucky recipient a chance to drive the fantastic Ferrari 360, and in addition they get to make the decision, do they drive the Subaru Impreza WRX or Mitsubishi Evo? Feel the extreme power of these high performance sports cars for yourself! 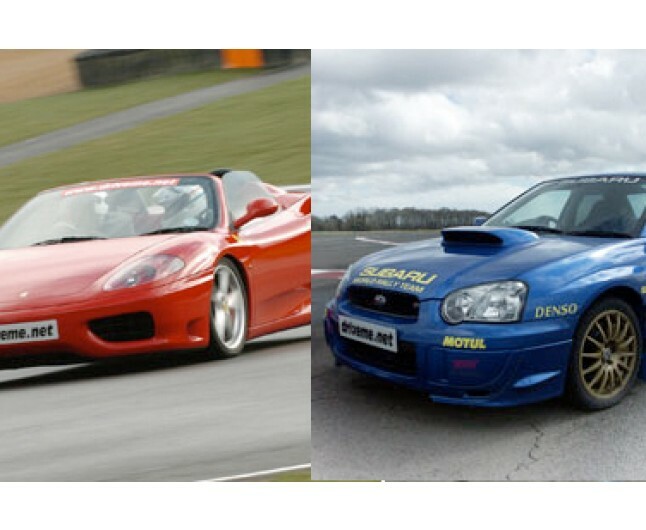 5/6 lap drive in a Subaru Impreza OR a Mitsubishi Evo - you choose! You will be presented with a certificate as a memento of your thrilling achievement.